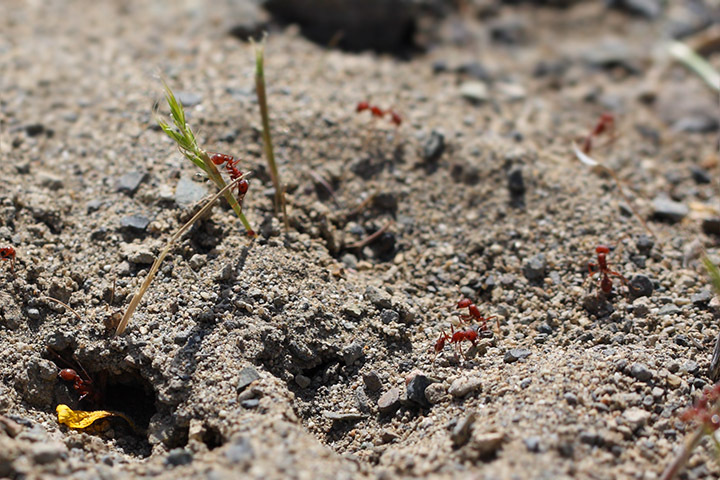 Additional images of Pogonomyrmex salinus grass removal, 4/19/10, Wananpum Rec. Area [Kittitas Co], WA USA. Top image shows the edge of the small (20 cm/8 in diameter) P. salinus sand nest - white arrow points to entrance. 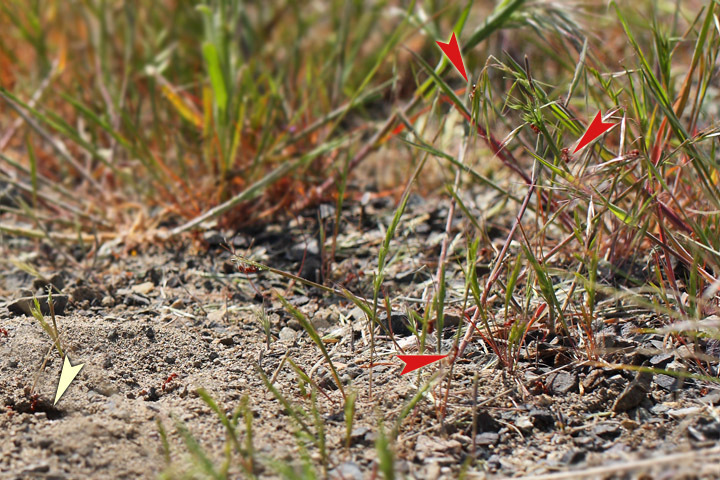 Just a few of the many workers climbing, and cutting away the cheatgrass (Bromus tectorum), are indicated by red arrows. In the bottom image (with nest entrance in lower left corner), workers can be seen foraging and conducting nest maintenance, while another worker continues to cut down a grass stem growing on the nest mound.